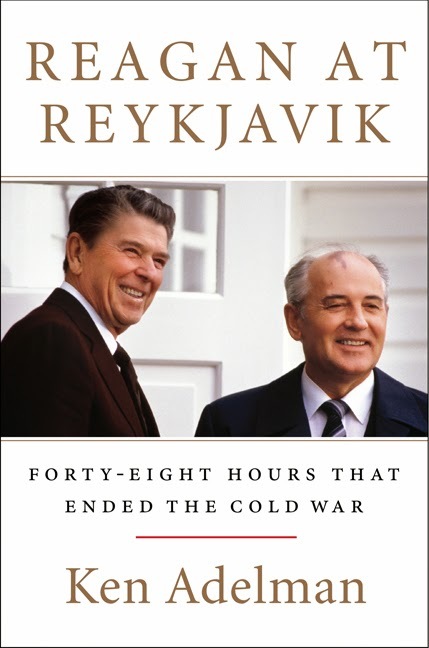 Summary: The dramatic, first-hand account of the historic 1986 Reagan-Gorbachev summit in Iceland—the definitive weekend that was the key turning point in the Cold War—by President Reagan’s arms control director, Ken Adelman. In 1986, Mikhail Gorbachev, Premier of the Soviet Union suggested that he and Ronald Reagan meet as a prelude to the major summit scheduled for Washington D. C. in the following year. Reagan agreed and the meeting was set to take place in Reykjavik, Iceland on October 11-12, 1986. Ken Adelman, who was there as Director of U.S. Arms Control and Disarmament Agency, delivers a first-hand account of the meeting in his book REAGAN at REYKJAVIK. Reagan accepted the premise of the meeting as low key and brought along minimum staff and actually left wife Nancy at home because he wouldn’t have time for anything but meetings during the brief two-day conference. Gorbachev, on the other hand, brought along more than 300 staff people and his wife Raisa who made quite a scene while touring Iceland. Even though the meeting was presented as inconsequential both leaders needed to score big at the conference. Gorbachev understood the need for reform in the Soviet Union and he knew he could no longer spend 30% of GNP on the military and still push reform. Reagan needed a success for his sputtering presidency and always dreamed of creating a nuclear-free world. In short order what was billed as a short unimportant meeting turned toward the major issues of the day from the Strategic Defense Initiative (SDI) to the elimination of all nuclear weapons. SDI was Reagan’s “pie-in-the-sky” idea to build a Star Wars type defense system. Although the leaders came very close to agreeing on the elimination of all nuclear weapons, at the end of the meetings no agreement was reached. SDI was the stumbling block. Gorbachev feared SDI and wanted research limited to the laboratories while Reagan would not agree to limit the research in any way and actually offered the system to Gorbachev. It was ironic that a system that only existed in Reagan’s head stopped a major nuclear agreement. The press declared the meeting a total failure and considered it the end of the Reagan presidency. Adelman delivers a great amount of detail from his own notes as well as declassified notes from Reagan and provides great insight into the character and leadership of two leaders at the peak of their world relevance. Adelman captures particularly well the drama, tension and disappointment that existed during those two days. Adelman claims that the difficult face-to-face discussions between Gorbachev and Reagan at Reykjavik actually changed the relationship between the two world powers and directly led to the successful nuclear pact they signed the following year. Adelman also contends that Reagan’s stand on SDI at Reykjavik led to the ultimate demise of the Soviet Union. This is only one of the many opinions that exists on the reasons for the fall of the Soviet Union. I would recommend REAGAN at REYKJAVIK to anyone interested in U.S. history or particularly interested in Ronald Reagan’s presidency. Thanks to my dad for writing this review and to the publisher for providing a review copy. I'm not into reading history either. I'm sad to say I was an adult when this took place and I really don't remember it. I don't read a ton of history, but am not averse to it either. I think this could be something I might like..it's interesting in light of Putin's recent actions and a potential re-escalation of the Cold War. That's so cute that you had your Dad write the review!